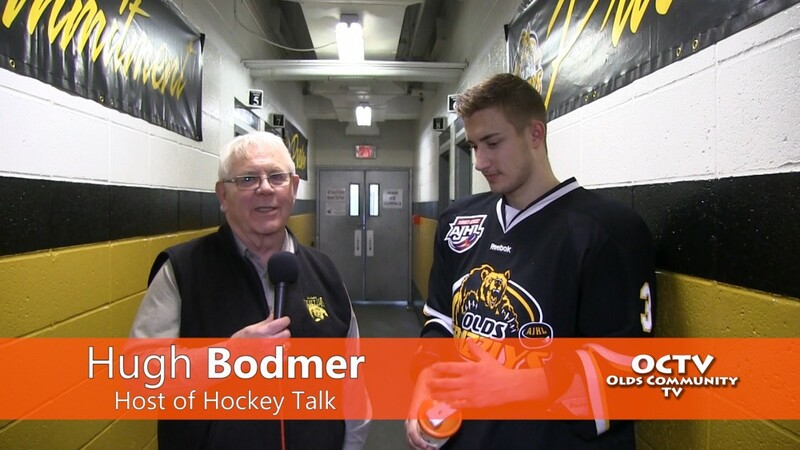 Hugh Bodmer talks with Olds Grizzlys #3 Kirk Johnson after the game on Friday January 9th. 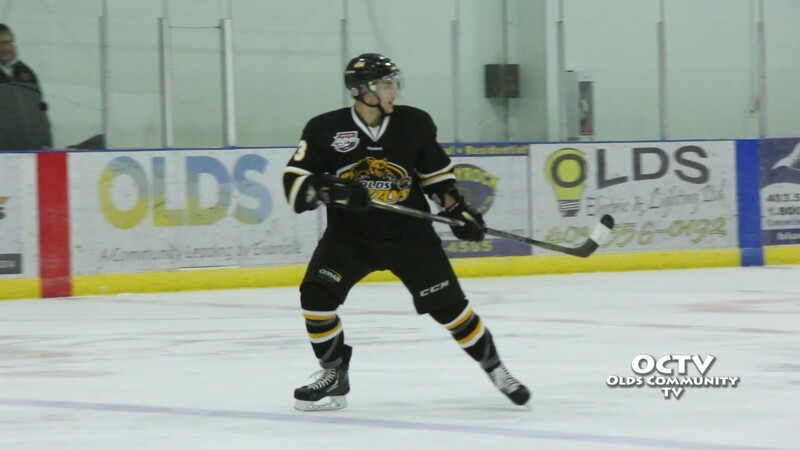 Olds Grizzlys scored in the second period at 3:06 – Cale Brown from Logan Kerner and Kirk Johnson. Grizzlys took the win against Sherwood Park Crusaders 7-6. The game went into OT with the Grizzlys taking the win in the shoot-out.